I LOVED it. From now on I will always have at least one pack of Sugru in my fridge at all times! (it keeps longer at lower temperatures apparently). The possibilities of use with Sugru are endless. I’m thinking of new ideas every day. A few weeks ago I was approached by the guys at Sugru and asked if I would like to try some of their self setting rubber on some of my Gadgetman projects. I was intrigued so jumped at the chance! The easiest way to explain what Sugru is and how it can change your life is to let the guys from Sugru do the talking. Watch this video…. A nice simple project to start off with. I use it beside the PC in my Gadget Lab. 2. A Focal distance aid for my Bushnell Natureview trail camera. 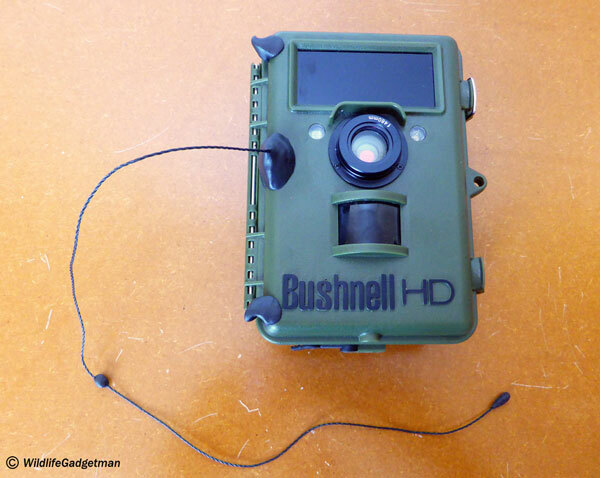 The Bushnell Natureview trail cam comes with two close up lenses. One has a focal distance of 250mm and the other 460mm. Getting this distance right is crucial to ensure any footage you capture is in focus so I always used to use a paperclip and a piece of string with a couple of knots tied in it at 250mm and 460mm. This works fine but I kept losing the string so I decided to add a permanent focal distance aid using a single sachet of Sugru. I made a couple of little hooks too so I can neatly wrap the cord out of the way when not in use. 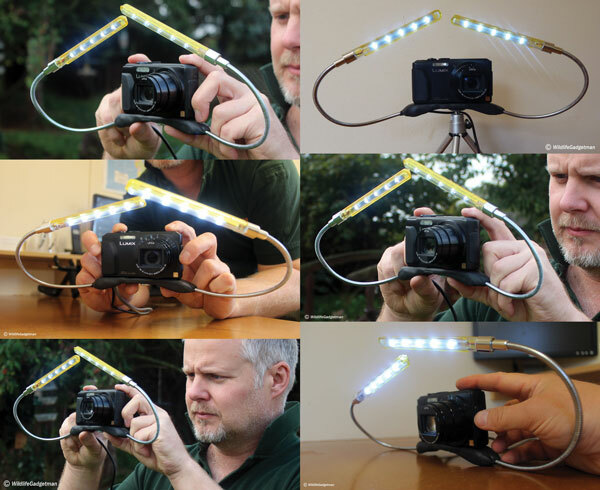 I’d had an idea for some time for a way to create a very low cost macro lighting rig for my compact digital camera. Sugru was perfect for sealing in the wires and creating a comfy grip for the rig. The guys at Sugru loved the idea and added it to their website. You can follow the full ‘How To’ guide here.I’ve got lots of other ideas involving Sugru that I’ll be sharing over the coming weeks. 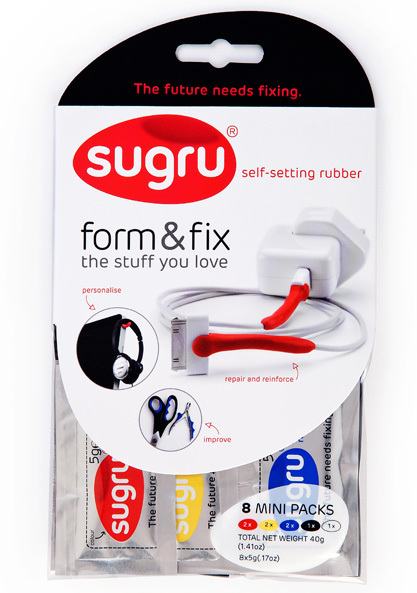 Check out the Sugru website and buy a pack today. You won’t regret it! Click on the logo below to visit the Sugru website.